Pain can be a helpful messenger, an alert that something in your body needs fixing ‒ but it can also be an agonizing annoyance that ruins your quality of life. 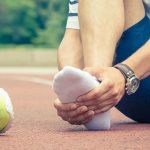 To make matters worse, many pain problems are rooted in deep-set underlying conditions, often originating in a different part of the body than the part exhibiting symptoms. Medication may mask your pain temporarily, but it isn’t going to solve a chronic underlying functional problem. For a more meaningful pain solution, take advantage of the drug-free options we offer at Achieve Therapy. Our physical therapists are ready to help you stop your pain at its source, with no need for drugs. Contact Achieve Therapy today!